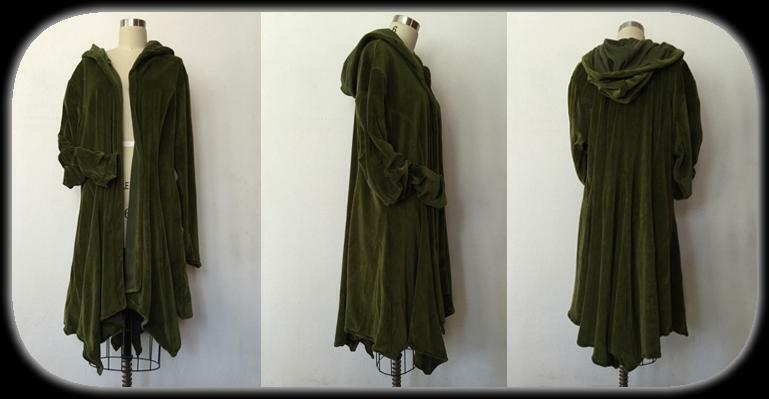 This olive colored Sweater Jacket is 100% cotton velour. The sleeves, like all those on my Sweater Jackets, are extra long and made to scrunch. I encourage everyone to come to Oddmall and try it on before you buy!